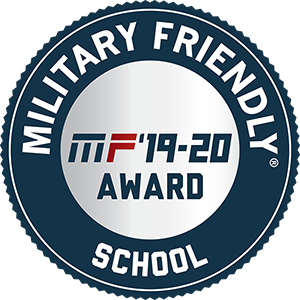 For the sixth consecutive year, Louisiana Tech University has been named a Military Friendly School, earning the 2019-20 Military Friendly®designation from Victory Media. Earlier this year, Louisiana Tech partnered with the Bossier Parish Community College to open a Veterans Resource Center in the Academic Success Center in Bossier City. The facility provides resources for veterans and their families, and the collaboration increases veterans’ ability to earn two- and four-year degrees – as well as graduate degrees – close to home. “Our faculty and staff take great pride in easing veterans’ and active-duty military members’ transition into the classroom and assisting with the educational process through to graduation,” said Dr. Donna Johnson, who leads initiatives in Shreveport and Bossier City, including the Tech Barksdale instructional site. The Military Friendly rankings list is created each year based on extensive research using public data sources for more than 8,800 schools nationwide, input from student veterans, and responses to the proprietary, data-driven survey from participating institutions. The survey questions, methodology, criteria and weighting were developed with the assistance of an independent research firm and an advisory council of educators and employers. The 2019-20 Military Friendly Schools list will be published in the May issue of G.I. Jobs magazine and can be found online. To learn more about Louisiana Tech-Barksdale and its programs for military members and veterans, visit our website.